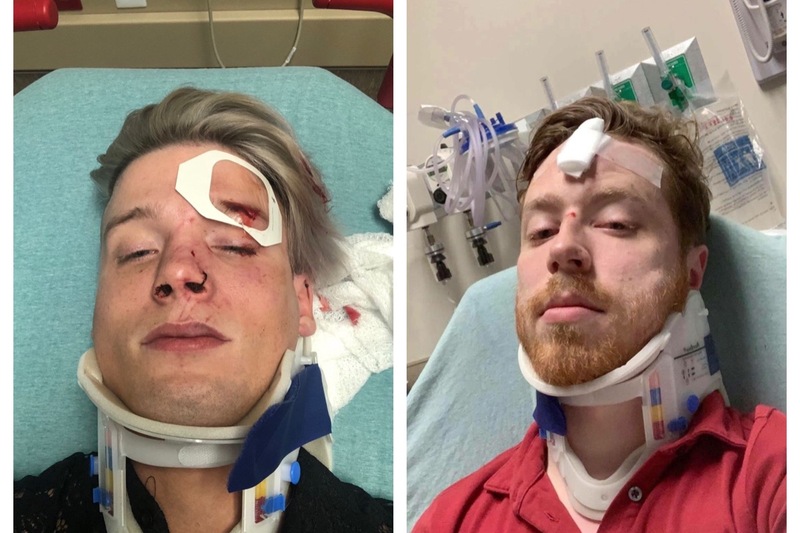 On Friday evening into early Saturday morning my boyfriend and I were victims of a hate crime. We were called “faggots” and brutally kicked & beaten. I suffered a concussion and severe lacerations, my boyfriend suffered a broken nose, stitches in his forehead and a major concussion with minor internal bleeding. Fortunately when a bystander saw what happened they were able to call 911 and we were able to get transported to a local medical center. Today I ask for your help with the burden we have been given of medical expenses related to this experience. Both of us were transported in an ambulance and given emergency trauma care at a local hospital. Due to this we expect our bills to exceed the thousands of dollars due to receiving comprehensive radiological care. And we ask for your love and support during our difficult time. Any help you can give is immensely appreciated. Always spread love and positivity. End hate. Hi everyone, Tristan and I are in awe of all the love and support we have received from every corner of the globe! Today I can say with a sigh of relief that the Austin Police Department have located and arrested all 4 men in our assault case. Thank you again for your support! Thank you all so much for your overwhelming love and support for our situation. You cannot fathom how much we appreciate your help.